Maj. Gen. Amir Eshel says a nuclear armed Iran could limit Israel's options when fighting Hamas and Hizbullah. A senior IDF general on Tuesday said a nuclear armed Iran would embolden Israel's enemies and could constrain Israel in targeting Iranian-backed Hamas and Hizbullah. 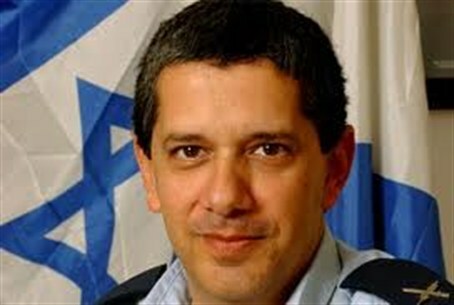 Maj. Gen. Amir Eshel, who heads the IDF planning department, said "If we are forced to do things in Gaza or in Lebanon... under the Iranian nuclear umbrella it might be different." Eshel, whose remarks were made at a press briefing in Jerusalem, warned that a nuclear-armed Iran would set off a regional nuclear arms race resulting in "a global nuclear jungle." His warning was in reference to statements by former Saudi intelligence chief Prince Turki al Faisal that, should Tehran aquire nuclear weapons, Riyadh would follow suit. Israel has warned for years that Iran's drive for nuclear weapons must be stopped. Last week, Prime Minister Binyamin Netanyahu said Iran's economy is "wobbling" and called for Western nations to impose tough sanctions on Iran. On Tuesday, Israel's minister of strategic affairs Moshe Yaalon slammed the Obama administration saying "election-season considerations" were stopping the White House from taking decisive action vis-a-vis Tehran. Obama, Yaalon indicated, is concerned that an armed conflict with Iran could cost him a second term in the White House. Iran claims its nuclear program is for energy production, but has refused to allow International Atomic Energy Agency inspectors access to its nuclear facilities under the Nuclear Non-Proliferation Treaty. It has also referred to Israel as a "one bomb state." An IAEA report released in late 2011 charged Iran with having sought - and continuing to seek - nuclear technology with dedicated military applications. Meanwhile, Eshel expressed concern that Syria's "huge stockpile of chemical weapons" could reach terror groups like Hizbullah if the regime of President Bashar Assad falls, which he predicted would "happen soon." Eshel's press briefing amid rising global tensions stemming from Iran's nuclear aspirations and bombastic threats to disrupt global security. Iran has threatened to close the strategically vital Strait of Hormuz should its oil industry be targeted by sanctions from the West. Nonetheless, British foreign secretary William Hague on Tuesday said European Union foreign ministers were hammering out the details of a comprehensive set of sanctions on Iran's oil industry ahead of a January 23 meeting. "We must not be put off further sanctions by bluster or statements from Iran," Hague said, referring to Iranian threats. The Bahrain-based US Fifth Fleet has warned any move to close the vital waterway would be viewed as "an act of war." Last week, an Iranian nuclear scientist was slain in a car bomb assassination in Tehran - the fourth attack on a member of Iran's nuclear team. Iran blamed the killing on Israel, which characteristically refused to comment on "intelligence matters."